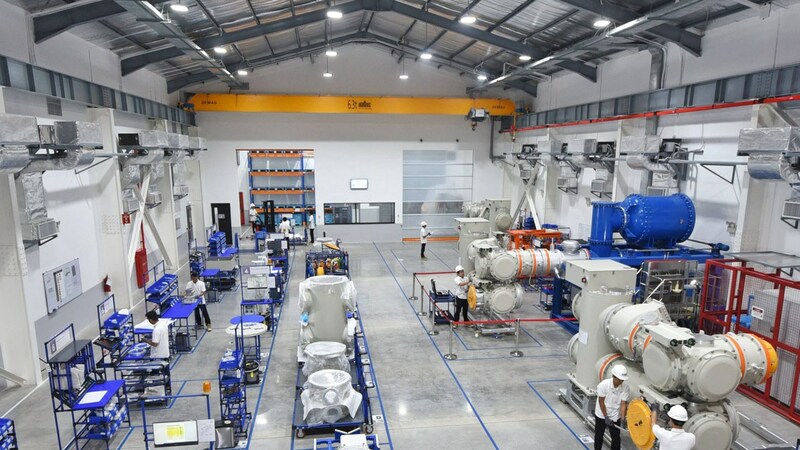 ABB inaugurated a new high-voltage gas-insulated switchgear (GIS) manufacturing facility in Tangerang, on the outskirts of Indonesia’s capital, Jakarta. The unit is the fourth manufacturing facility that ABB has set up in the country during the last three years as part of a $30 million investment plan. The other units manufacture high-voltage air-insulated switchgear, low-voltage, and medium-voltage switchgear. Indonesia, the fourth most populous country in the world, is the largest economy in Southeast Asia, growing at a steady pace. Demand for electricity is expected to grow at around 6.9 percent per annum and the government has a plan to support this growth by building up to 56 gigawatts of capacity by 2027. Around one fourth of the additional capacity is projected to come from renewables, more than doubling their contribution to the energy mix from 11 to 23 percent. In addition to increasing power generation capacity, the country is also strengthening its transmission and distribution infrastructure. ABB’s new 1,000-square-meter manufacturing unit will deliver 170-kilovolt (kV) GIS. The campus already houses a medium-voltage manufacturing unit, and a production facility that produces high-voltage air-insulated switchgear and equipment, such as Live Tank Circuit Breakers and Disconnectors. GIS is a compact metal encapsulated switchgear that uses pressurized insulating gas and enables safe operations in confined spaces while significantly reducing equipment footprint. The GIS controls and protects the network from power outages and facilitates reliable electricity supply. A key enabler for urbanization where land is scarce and costly, GIS can occupy as little as 10 percent of the space of an air-insulated switchgear (AIS). ABB pioneered GIS technology 50 years ago and continues to drive innovations in this space. As a market and technology leader in high-voltage GIS technology, ABB offers ratings and applications from 72.5 kV to 1200 kV and has a global installed base of more than 30,000 bays. ABB’s latest offering includes eco-efficient and digital capabilities. ABB has worked closely with PLN, the country’s leading power utility, on substations and other power infrastructure projects, and this new facility will continue to support PLN’s efforts.